Anne de Villeméjane is an established french artist, residing in New York. Her sculptures in bronze, crystal or cement, are exhibited in galleries and major art shows in the United States, Europe and Middle East. 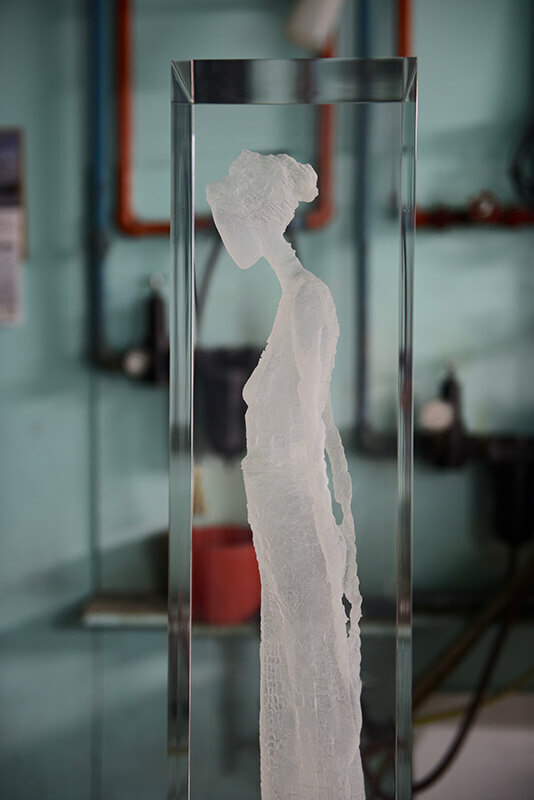 “Anne de Villeméjane’s work explores femininity; she creates delicate, elongated, quiet women. Their poses are reflective, pensive, maybe pre-occupied even. The artist depicts women from the point of view of her inner life, as the works go beyond portraiture to reach the essence of womanhood”.